Valentine's Day is this week, so naturally our thoughts turn to love. In our hectic lives, though, we may find that our minds are completely occupied with how we're decorating or what we're hoping to receive as a Valentine's Day remembrance or how we're going to make sure that our children have the best treats to deliver to classmates or whether we should watch a steamy movie. In the midst of all that, we may easily forget what love really is. I found this little reminder in an old book, and I thought you might need it as much as I do. just as I have loved you, you also are to love one another. Dear Lord, teach us to love one another as you love us. 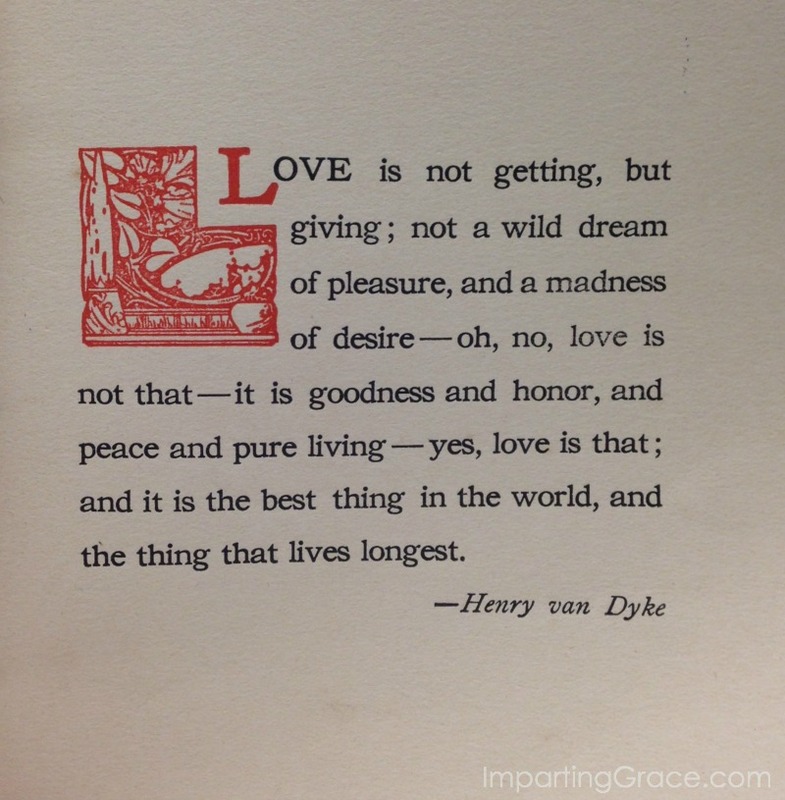 How do you keep in mind the true meaning of love? what a beautiful reminder of the greatest gift that we could ever receive. We need His brand of it, don't we? Hello Richella, I think it is the love of Christ that compels me... Because if left to my own; I can become so self centered. But as I read the Word it helps me to get my eyes off myself and to look out!